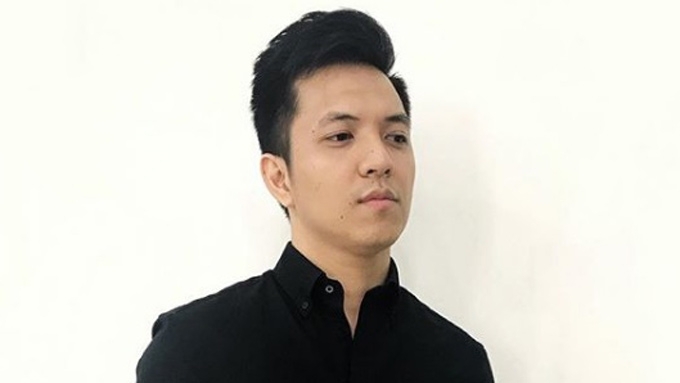 TJ Monterde on KZ Tandingan winning over Jessie J: "Very well deserved, my love." TJ Monterde has renewed his recording deal with PolyEast Records. He is slated to perform with KZ Tandingan in a Valentine concert titled TJ x KZ Live in CDO. It is scheduled to take place on February 17 at the Limketkai Atrium, Cagayan de Oro. Singer-songwriter TJ Monterde is definitely one proud boyfriend. He commended his girlfriend KZ Tandingan for beating international singer Jessie J in a Chinese reality singing competition. In the show titled Singer 2018, KZ gave her own jazz version of Adele's "Rolling In The Deep." The Filipina singer also surprised everyone by rapping in Tagalog halfway through the song. In his Instagram account, TJ posted KZ's photo and wrote about her achievement: "Very well deserved, my love." Since KZ considers Jessie J as one of the biggest influences of her music, TJ knew how much it meant to his girlfriend to be able to compete against her idol. TJ wrote in his Twitter account: "Iyong mapabilib mo idol mo, sarap sa puso nun!" For now, TJ and KZ are gearing up for their upcoming concert in Cagayan de Oro. The Valentine concert titled “TJ x KZ Live in CDO” is scheduled to take place on February 17 at the Limketkai Atrium, Cagayan de Oro. TJ recently renewed his recording deal with PolyEast Records. He has stayed with his label to create new singles and a new project that is scheduled to be released during the second quarter of 2018. As a result of his partnership with PolyEast Records for the past six years, TJ has released three albums: Ikaw at Ako (2014), self-titled album (2016), and Kahit Kunwari (2017). The 27-year-old artist's latest album titled Kahit Kunwari, consists of TJ’s original songs. The first single “Mahika” was chosen as Wish 107.5 Pop Song of the Year and its music video has already garnered 1.2 million views on YouTube. The music video of the latest released single “Kahit Kunwari” held the Top 10 spot for six consecutive weeks on the MYX weekly countdown and has reached 1.5 million views on YouTube. what a clear manifestation this is. ?? Very well deserved, my love.